Lupe Moya passed away peacefully on January 21, 2019. She was 67. She was born on April 12, 1951 to Roque and Maria Buenavista in Brawley, California. In the 1960’s, Lupe moved to Watsonville. She worked in the Watsonville Cannery for 10 years. Lupe then moved to Los Angeles where she lived for four and a half years and was taken care of by her granddaughter Mercedes Moya. She loved music, dancing, traveling, cooking, and spending time with her family. She is preceded in death by her daughter Tammy Uresti. 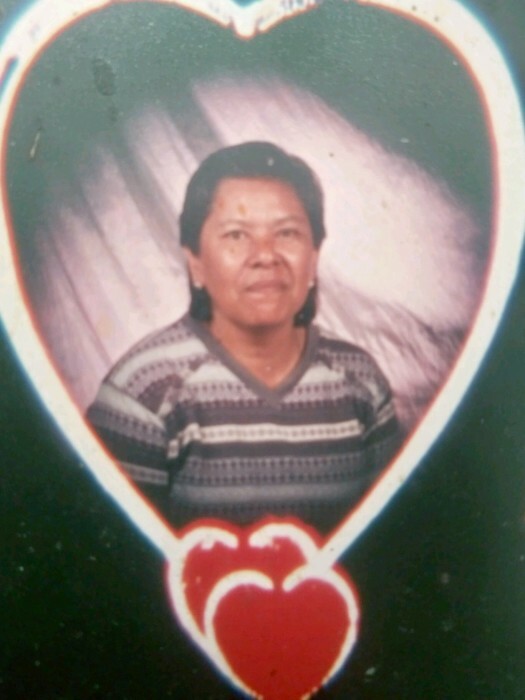 She is survived her son, Santos Jaquias and her daughter, Flora Moya; her sisters; Maria Hernandez and Connie Vargas; brothers, Joe Jaquias, Juventino, and Robert Villarreal, Milton, Mario, Carlos, Johnny Bardmess; 9 grandchildren, 2 great- grandchildren, and several nieces and nephews. A visitation will take place Wednesday January 30, 2019 at 5-9pm with a Rosary at 7pm at Mehl’s Colonial Chapel. Mass will be held Thursday January 31, 2019 at 1pm at St. Patrick’s Church. Burial to follow at Pioneer Cemetery. Mehl’s Colonial Chapel was entrusted with the arrangements.